Narrow-lot plans often sacrifice detail or spaciousness, but the Suwanee is big on both. A large motor court and three-car garage instantly imply the home's spaciousness and attention to details. For those who need more than the home's 3000 square feet, an enormous bonus room covers the upstairs of nearly one wing of the home. Downstairs, the completely open breakfast, family, dining rooms and kitchen all access one another in a free-flowing fashion. Ceiling treatments, built-in shelves and a fireplace are just some of the custom details in the home. The master suite is truly remarkable. A more than spacious master bedroom features a wraparound window seat and accesses two walk-in closets. The master bath includes his-and-her vanities, a corner shower and large soaking tub. Two other bedrooms, each with their own bath, are positioned nearby. 1st Floor: 3161 Sq. Ft. 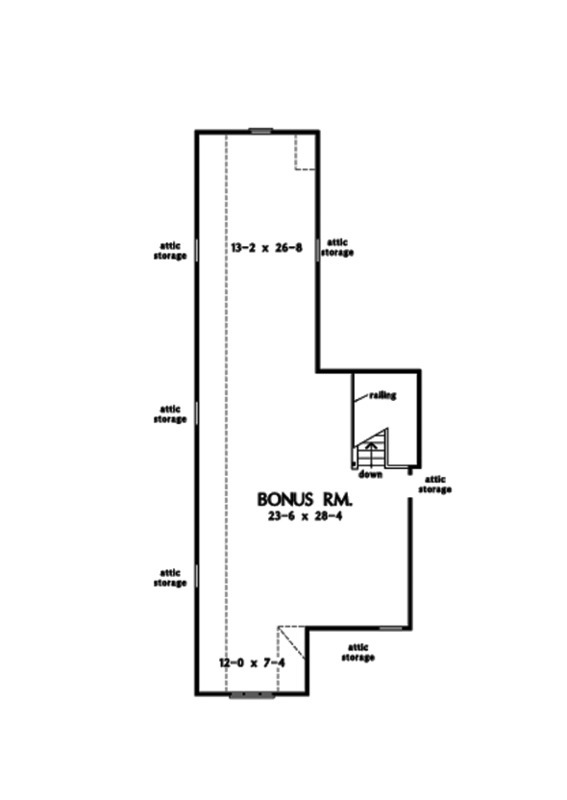 Bonus Room: 1174 Sq. Ft.
House Dimensions: 62' 11" x 88' 6"
Great Room: 21' 4" x 21' 8"
Master Bedroom: 13' 8" x 20' 0"
Bonus Room : 23' 6" x 28' 4" x 8' 0"
Breakfast Room (Tray): 10' 4" x 10' 8" x 10' 5"
Deck / Patio : 26' 4" x 18' 2" x 0' 0"
Dining Room (Tray): 12' 0" x 14' 0" x 11' 1"
Foyer (Tray): 6' 0" x 16' 0" x 10' 1"
Great Room (Tray): 21' 4" x 21' 8" x 12' 1"
Kitchen : 11' 4" x 18' 4" x 9' 0"
Living Room (Cathedral): 12' 0" x 16' 0" x 16' 5"
Master Bedroom (Tray): 13' 8" x 20' 0" x 11' 1"
Other : 20' 0" x 12' 0" x 0' 0"
Porch - Rear : 24' 8" x 12' 2" x 10' 0"
Porch - Front : 30' 3" x 5' 7" x 10' 1"
Storage (Other) (Sloped): 3' 4" x 5' 0" x 0' 0"
Wet Bar : 2' 0" x 7' 0" x 10' 0"